Our popular Living Life to the Full classes have proved popular and effective for adults. Due to this, we are excited to announce the launch of Living Life to the Full classes for Young People, targeted for 11-18 year olds. Content, worksheets and booklets adapted based on young persons’ feedback. Powerpoint slides to run the course with all resources you need in PDF format, including worksheets to highlight learning from the sessions. Adapted speaker notes to help throughout every stage of the course. 10 things you can do to help you feel happier straight away – 10 small steps to feeling fitter and happier. The Five Areas team offers training in the use of the Living Life course for Young People, to help you run it effectively. Please contact us at training@fiveareas.com to book a local practitioner training course. We also offer training workshops on a regular basis – visit www.fiveareas.com/training for details. 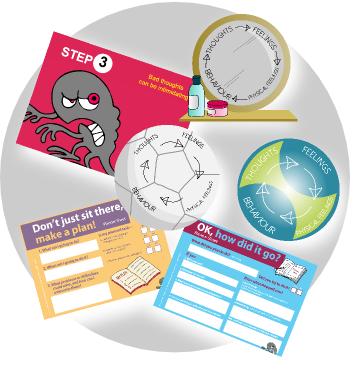 Used the Five Areas booklets before and want to get straight on with delivering the classes? Please click here to read about our licenses.